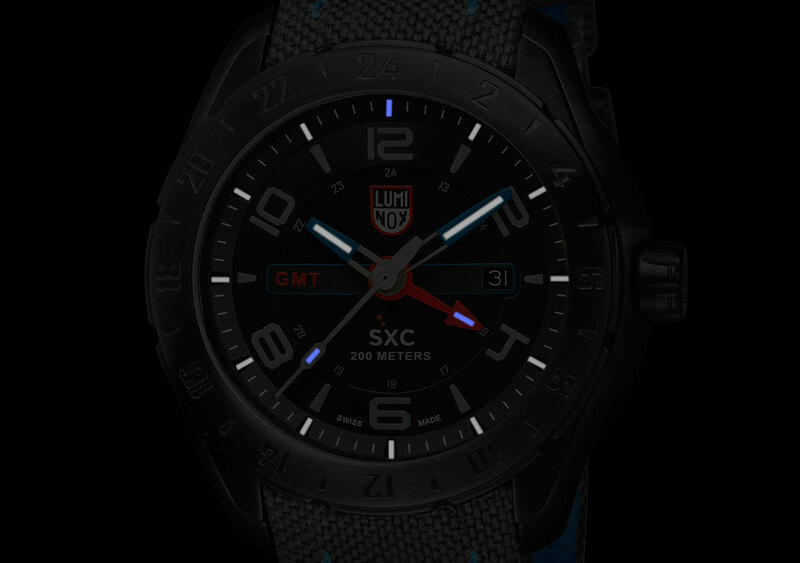 Created in collaboration with commercial space flight provider Xcor, the Luminox SXC PC Carbon GMT is a dual time zone wristwatch with tritium tube illumination and a carbon composite case. 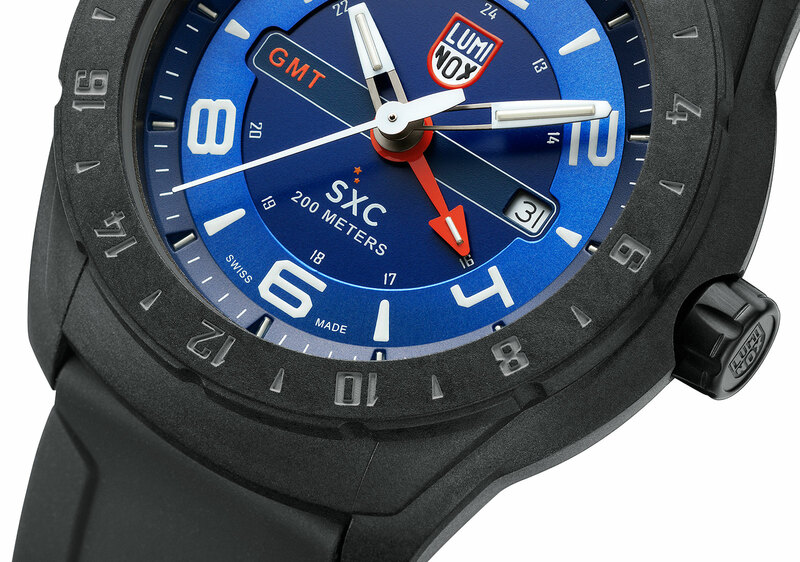 Luminox, best known as the maker of affordable timepieces created in partnership with the US Navy Seals, will supply the official timepieces to the passengers and pilots on the Lynx space shuttle built by XCOR, a manufacturer of spacecraft for commercial space flight. Cased in carbon reinforced polycarbonate, the SXC PC Carbon GMT is a quartz, dual time wristwatch. Unlike pricier watches with cases in similar materials that usually contain carbon fibre strands inside a polymer, the Luminox case is made from carbon fibre powder mixed with a hard thermoplastic polymer. Consequently its physical strength is reduced, but in a watch case that property is irrelevant. Visually, however, the case has a mottled grey and black colour with a matte surface that is easily identifiable as a carbon composite. The case diameter is 45.5 mm with short lugs, so it sits on smaller wrists, and the crystal is mineral. It’s available in several colours, all of which have a GMT function, date and bidirectional bezel. 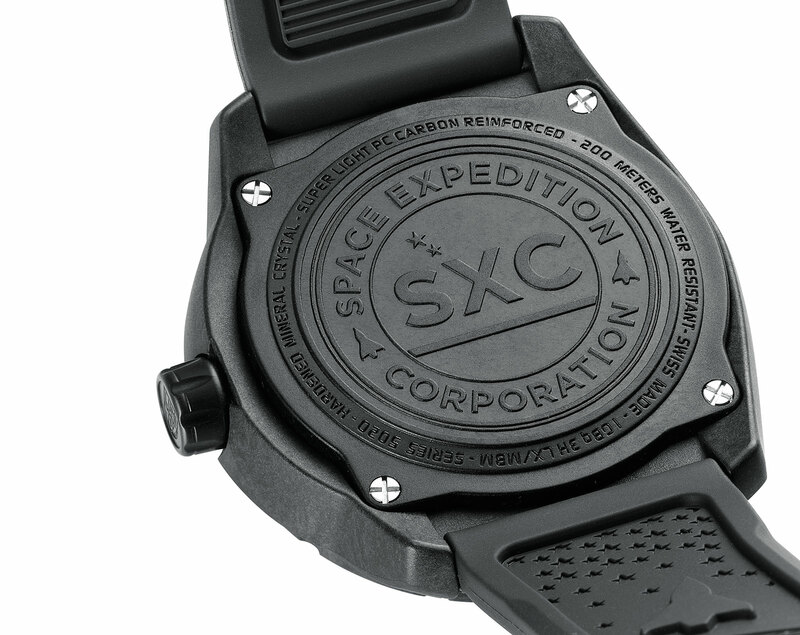 The watch is named after SXC, the enterprise that will sell tickets for commercial space trips on XCOR spacecraft, with its logo on the dial and case back. And like other Luminox timepiece these have tritium gas-filled tubes on the dial and hands for long lasting night-time illumination. Tritium, unlike the more common SuperLuminova that fades over time, glows brighter and consistently in the dark, but its half life of 12 years means it will be half as bright in that span. 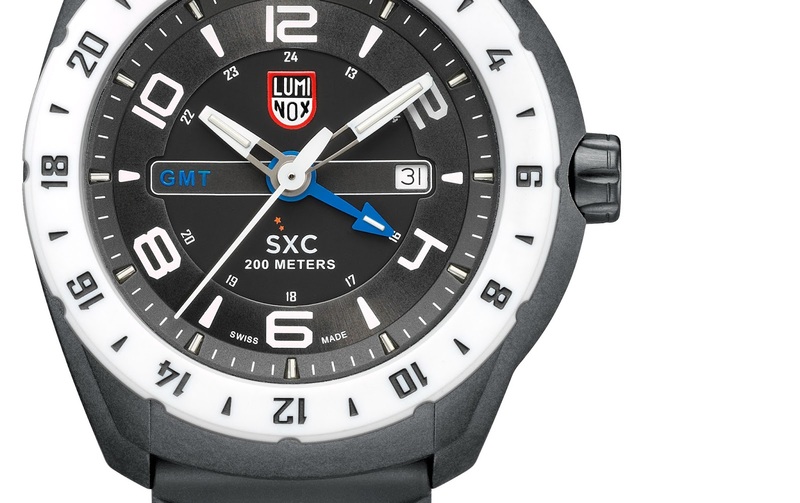 The Luminox SXC PC Carbon GMT is priced at 725 Singapore dollars before taxes, equivalent to about US$580.